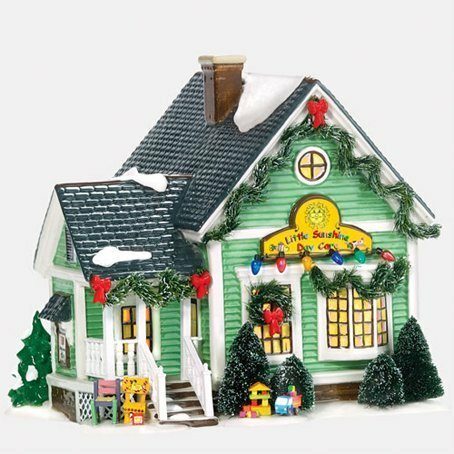 A delightful addition to The Original Snow Village, this is the perfect gift for your daycare provider and includes distinctive holiday decorations and a switched cord and bulb. The piece was designed and manufactured exclusively by Department 56. Department 56 Snow Village Harley Roadhouse Cafe Lit House, 60.5"